Storage. The most important thing in a DC apartment’s life! I know I’m not alone when I say that I never have enough. Today’s Listed District roundup offers up a few finds to help you out with that all too common problem. Try this 6ft long gorgeous sideboard ($575) if you’re a fan of the traditional, but are still looking for clean lines. 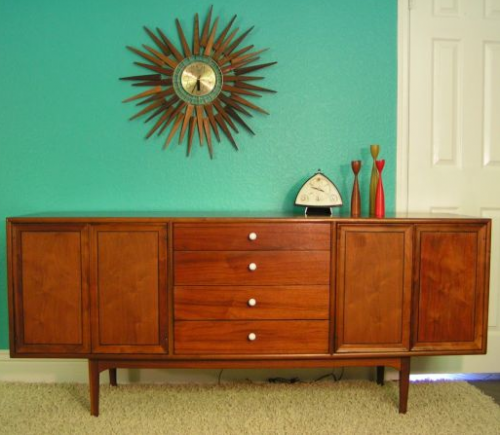 Go vintage with a mid century starburst clock ($75), or contemporary with a West Elm dining table ($250). This simple but elegant shelf unit ($120) has been posted for awhile and could turn out to be a great deal. 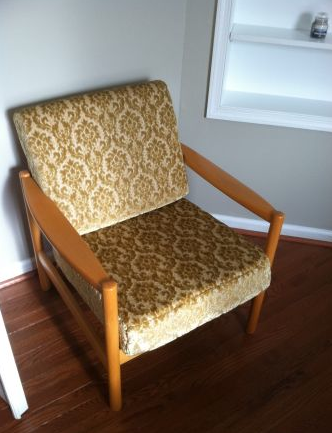 I’d love to see it stuffed with books and paired with a gold velvet mid century lounger ($100), or a bentwood desk chair ($125). Clean up your act with a steel tanker desk ($200) – set it up with the classic steel desk chair ($50), or a less expected and maybe a little shocking electric blue vinyl atomic chair ($10).